Defending Asian Cup badminton champions, Indonesia, will be fielding their full squad for the Asia Cup in Singapore next month in hopes to secure the title they've held since 1997. Indonesia have been untouchable in the men's event in the past few years. 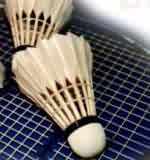 They have won the Thomas Cup consecutively in 1998 and 2000. China, whose shuttlers won four out of five gold medals in the Olympics last year will pose a great threat to the Indonesians in the Asia Cup. Hendrawan and Taufik Hidayat will be fielded in the singles event while recent Japan Open men's doubles winners, Candra Wijaya and Sigit Budiarto will be in the men's doubles.